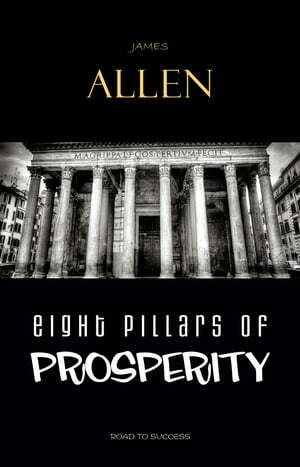 Collins Booksellers - Eight Pillars of Prosperity by James Allen, 9789897781582. Buy this book online. In "Eight Pillars of Prosperity", James Allen outlines the exact qualities we need in order to achieve lasting success. According to Allen, prosperity rests on eight pillars: Energy, Economy, Integrity, System, Sympathy, Sincerity, Impartiality and Self-reliance. This short but powerful book is essential reading for fans of Allen’s "As a Man Thinketh".